Heat Or Ice For Gout Relief? The debate continues to rage about heat or ice for gout relief. But does it relieve your gout or make it worse? There is no doubt that ice relieves swelling. There is no doubt that an acute gout flare causes painful swelling. 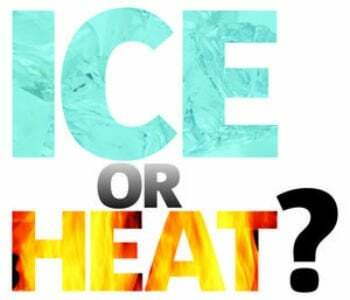 The big question is: does the beneficial aspect of inflammation control from ice, outweigh the risks from lower temperatures? There are several references to ice as a gout pain relief treatment in medical literature. One researcher has suggested that ice treatment can even be used to differentiate between gout and other forms of arthritis. In that investigation, patients suffering from proven gout, rheumatoid arthritis, osteoarthritis and other forms of inflammatory arthritis were asked to report if ice treatment helped them, or made pain worse. The claim is that cold will help gout pain, therefore it is a useful addition to gout treatment. But is short-term pain relief the only factor? We know from several studies that uric acid crystals develop much more readily at lower temperatures. Like many of my fellow gout sufferers, I have experienced the pain of a gout flare in extremities left uncovered in a cold bedroom. Is it really wise to subject a uric acid laden joint to lower temperatures knowing that this will encourage uric acid crystals to form? If you have gout, avoid applying ice, keep joints warm, and lower uric acid to 5mg/dL (0.30mmol/L) so you can stop worrying about gout pain. When you solve the uric acid crisis, you no longer need to worry about gout relief, as you never get the pain. If you have thoughts about ice or heat for gout, please share them at Review Heat Or Ice For Gout Relief. If you need personal help for this or any aspect of your gout, please ask in the gout forum. Leave Heat Or Ice For Gout Relief to browse the Gout Relief pages. Published: J Clin Rheumatol. 2006 Dec;12(6):275-6. Title: Response to application of ice may help differentiate between gouty arthritis and other inflammatory arthritides. Author: Schlesinger N.
Can I put heat on wrist for gout? Heat treatment isn’t specific to any joint. Therefore, my short answer is ‘Yes’. But, there are many other more important issues to consider. You should only use heat treatment for gout pain in your wrist as a temporary measure. Your permanent solution is to reduce uric acid to safe levels. Then, you will not need heat treatment for your gouty joints, or any other form of pain control. Please add your thoughts at Review Heat Or Ice For Gout Relief.